Mr. Hardy gained his formal education in the United Kingdom, having graduated with a Bachelor’s degree (Honours) in Mechanical Engineering from the University of Bristol. He then pursued a career in Accountancy, qualifying as a Chartered Accountant and earning his certification in Corporate Treasury Management in 2001 and 2003 respectively. Mr.Hardy is also a Fellow of the Institute of Chartered Accountants in England and Wales. 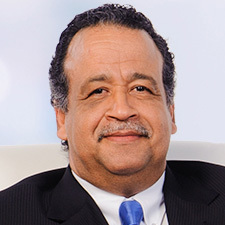 Prior to returning to Trinidad, he worked in internal audit with two major international companies in the United Kingdom where he engaged with Senior Managers in trade, finance and operations. He also worked in India conducting risk assessments, examining service level agreements and ensuring good Corporate Governance. Upon his return to Trinidad, he joined a locally owned hospitality business in 2007 as the Group Chief Financial Officer. 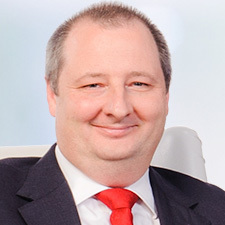 Within two years, he was promoted to the position of Chief Operating Officer, a position which he held until he joined Prestige Holdings in 2014. Mr. Danglade joined Prestige Holdings Limited as Chief Financial Officer in 2007 from PricewaterhouseCoopers, where he held the position of Audit and Business Advisory Services Manager. He has over 10 years of auditing and business advisory experience and has led a variety of external audit engagements within the financial, manufacturing, retailing and transportation industries. 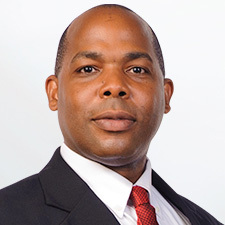 Mr. Danglade is a Fellow of the Association of Chartered Certified Accountants of the United Kingdom (FCCA) and a member of the Institute of Chartered Accountants of Trinidad and Tobago (CA). Postgraduate Diploma, Education (Distinction); B.A. (Hons. ); Vice President, Human Resources. Ms. Sobrian has over 15 years’ experience in Human Resources Management, specialising in the areas of Strategic Planning; Performance Management Systems; Training and Organisational Development; and Compensation and Benefits. 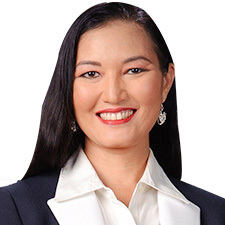 Prior to joining Prestige Holdings Ltd., she served as the Human Resources Manager of a major organisation where she played an integral role in the strategic planning process and alignment of the performance management system with company goals and targets. Ms. Sobrian holds a Master’s Degree in Human Resources, with Distinction, from the Arthur Lok Jack Graduate School of Business; a Bachelor of Arts Degree with Honours and a Post Graduate Diploma in Education, with Distinction, from the University of the West Indies. She has also been certified as a Compensation and Benefits Professional from the World @ Work organisation, based in the U.S. Ms. Sobrian has successfully completed several training programmes, locally and abroad, in areas such as management and leadership development, organisational change and strategic management. Mr. Maharaj has worked extensively with both multinational corporations and regional conglomerates in the Caribbean. He has worked in various positions across many departments; including Quality, Supply Chain, Trade Marketing, Marketing and Sales. 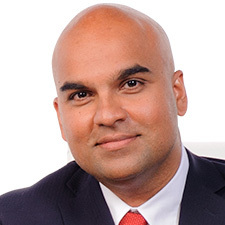 Mr. Maharaj holds a Bachelor’s Degree (Double Major) in Chemistry and Biochemistry from the University of the West Indies and an MBA from Heriot-Watt University, specialising in International Trade and Finance. Mr. Martins joined Prestige Holdings Ltd. in 1978 as a Shift Supervisor at KFC St. James, our very first restaurant in Trinidad. Since then, he has held several positions, including Area Manager, Research and Development Manager, and Quality Assurance Manager. In 1991, he was promoted to Business Development Manager. This significant portfolio provided him with in-depth knowledge and experience in market mapping, market segmentation and site selection using world-class methodologies. Mr. Martins has attended extensive overseas training programmes covering operations, business development, quality assurance and research. Ms. Benjamin has a diverse background spanning advertising and marketing with local and regional media, operations and retail distribution. She joined Shell Oil in the Eastern Caribbean in 2003, where she worked with the commercial fuels line of business across the Northern EC countries. 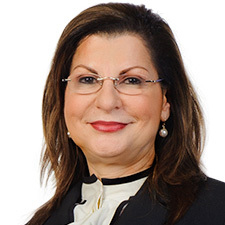 She then moved to Sol Petroleum as General Manager in the British Virgin Islands, where she managed the Shell franchised lines of business including Aviation, Retail and Commercial Fuels, Marine Bunkering, Lubricants and LPG. 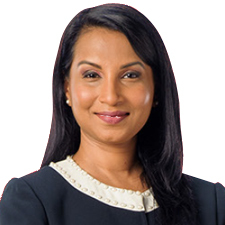 She has served in appointments as General Manager for Trinidad & Tobago National Petroleum Marketing Company and General Manager for IGL Limited in Jamaica. Ms. Benjamin holds a BA in International Business from the University of Sunderland in the UK, as well as an MBA from the University of the West Indies. She is also certified in Debt Collection Management and possesses an ICA International Advanced Certificate in Compliance and Financial Crime. Rhea has over 16 years of progressive responsibility in the areas of Business Development, Strategic Planning and People Development. The majority of her experience is within the local Distribution Industry where she managed a diverse portfolio of local, regional and international Consumer brands. During this time, she gained experience in Business Analytics, Profit and Loss Improvements and formulating successful marketing campaigns. She also served as a Director on two (2) Boards within the Ansa McAL Group. Prior to this, she also gained international experience in Financial Services having worked with Western Union (US Outbound) in Florida. She holds a Bachelor’s Degree in Sociology and Management and a Masters Degree (specializing in Marketing) from the University of the West Indies. During her career, she has also completed several leadership programmes in the areas of Strategic Management and Organizational Change and Development.